The Centre for the Studies of Translation, Interpreting and Cognition (CSTIC) of the University of Macau (UM) Faculty of Arts and Humanities (FAH) and the Centre for Translation Studies of Beijing Foreign Studies University recently co-organised the fourth edition of the International Conference on Cognitive Research in Translation and Interpreting. This year’s conference attracted more than 100 experts and scholars from over 40 well-known institutions in the Greater China region, the United Kingdom, the United States, Japan, Australia, Spain, Denmark, Switzerland, Brazil, Finland, and Poland. At the opening ceremony, Prof Li Defeng from the CSTIC stressed that in order to understand how the brains of translators and interpreters work, cooperation among different research teams around the world is essential. Focusing on the behaviour of translators and interpreters as well as the underlying neurocognitive processing of their bilingual brains, the research study on cognitive translation process uses experimental methods like eye-tracking, key-logging, and neuro-imaging as well as non-experimental methods such as corpus. Prof Li added that the study will help to deepen the understanding of the macro- and micro-levels of the translation process, and thus inform translation pedagogy and improve the quality of translation and interpreting training. Prof Li also said that the CSTIC held three annual conferences in Macao in the past and each had attracted 30 to 60 participants. The increase in the number of participants this year shows that it is a strategic step to host the conference outside Macao. Prof Li indicated that the CSTIC would continue to work towards building a more accessible platform for scholars from home and abroad. During the conference, the CSTIC research team presented nine papers on the results of innovative studies about the cognitive processes of translation and interpreting. The team also announced a collaborative research project to be headed by Prof Hong Gang Jin, dean of the FAH. Participants in the project will include Prof Li Defeng and Prof Victoria Lei from the CSTIC, as well as experts of translation process studies from leading centres of cognitive translation studies in Germany, Denmark, and Brazil. The project has secured a Level IV Multi-Year Research Grant (MYRG) and will explore the models of cognitive efforts in translation processes. A boot camp will be held at UM in the summer of 2018 to attract researchers, young and veteran, from around the world to work intensively together on the topic for four weeks. The fifth edition of the conference will be held at Renmin University of China in November 2018 in Beijing. 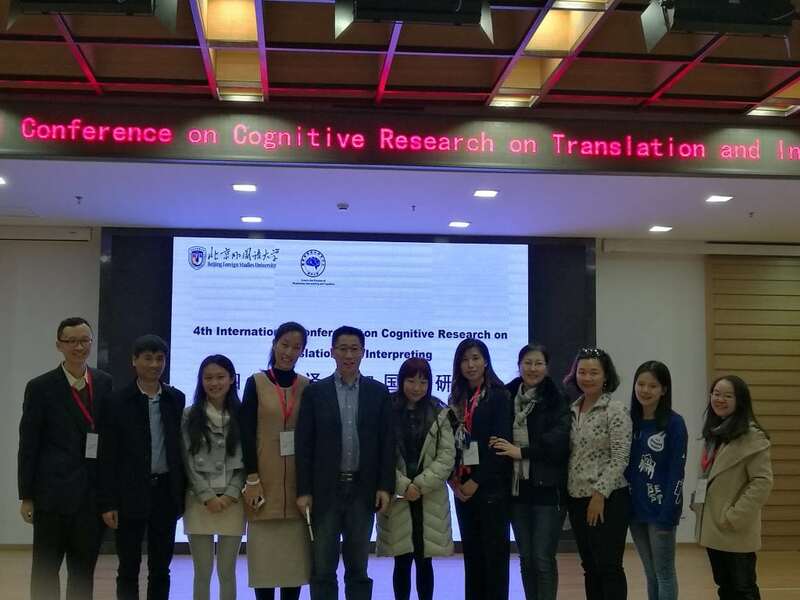 The CSTIC research team presented nine papers on the results of innovative studies about the cognitive processes of translation and interpreting.